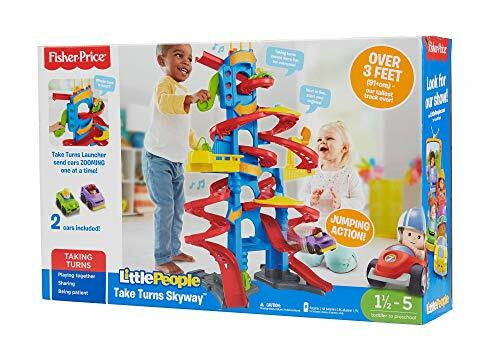 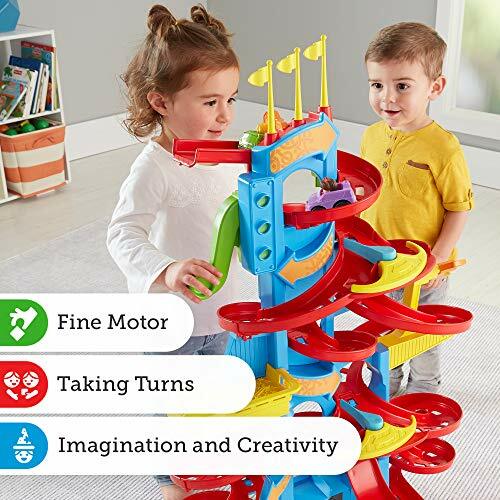 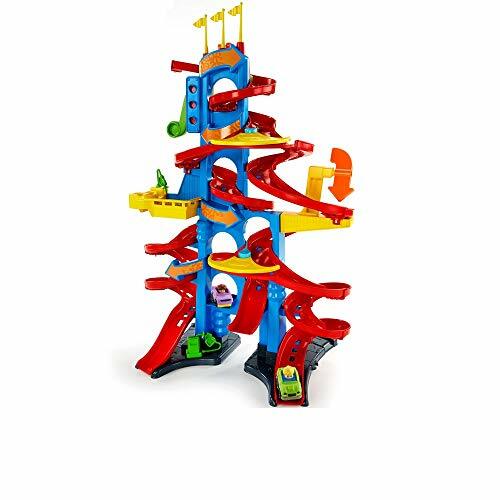 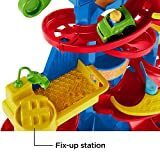 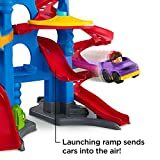 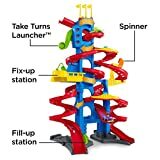 Fisher-Price Little People Take Turns Skyway is a 3 ft(90 cm) tall car playset for children around age 2 and nursery aged children. 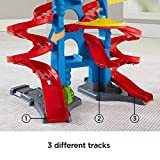 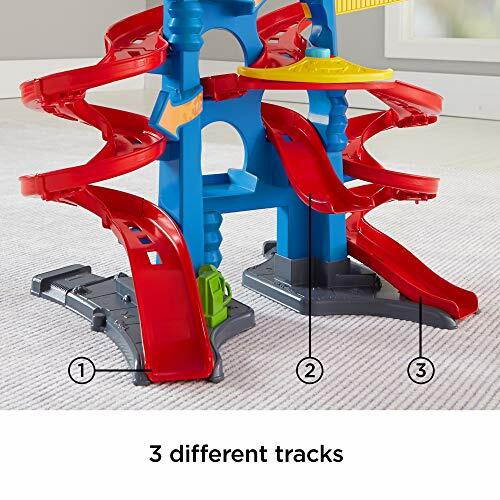 Featuring three different tracks, easy-to-grasp vehicles, a car launcher and pretend play stops (like a petrol and repair station) along the way, this track set is loaded with racing fun for kids to discover and share. 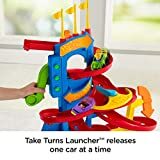 A press of the Take Turns Launcher sends one car zooming down the spiral track while releasing the next car to the starting line to wait for next turn. 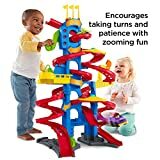 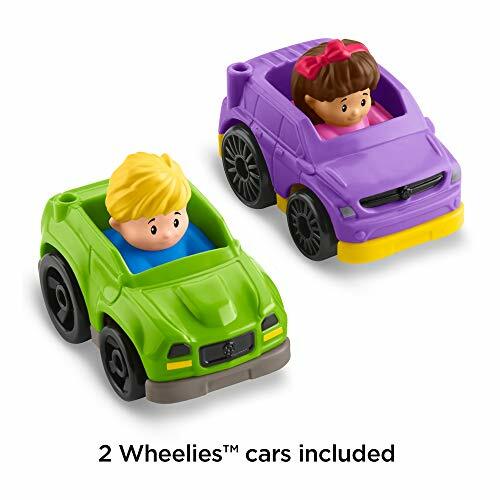 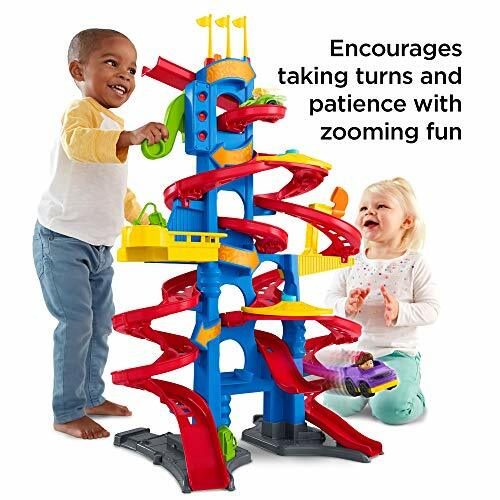 As little racers send their Wheelies cars around the racetrack, fun phrases remind them to be patient, take turns and play together. Children can also stop at the gas and repair station to refuel or fix up their vehicles, creating all kinds of imaginative stories and practicing their role-play skills. To make the adventure play even more exciting, one of the tracks ends in a jump, launching vehicles into the air for an awesome finish.